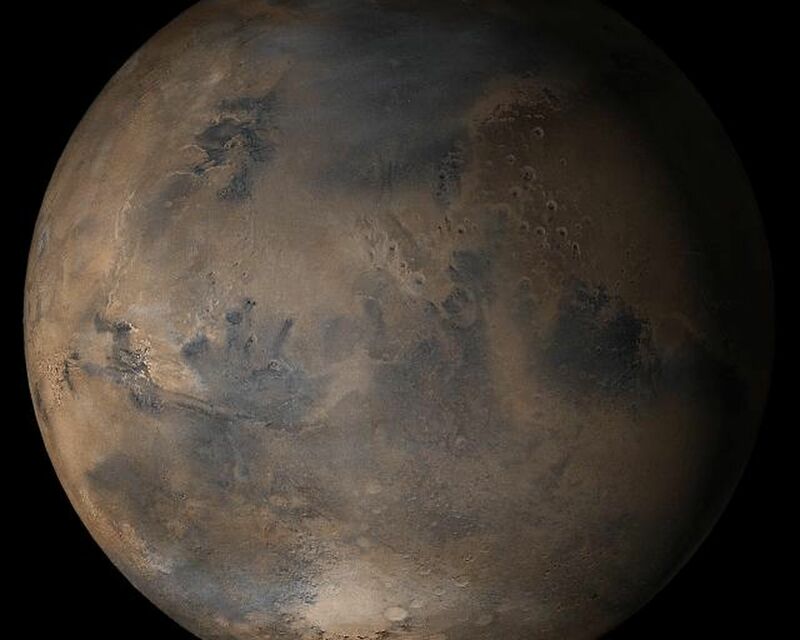 This picture is a composite of Mars Global Surveyor (MGS) Mars Orbiter Camera (MOC) daily global images acquired at Ls 25° during a previous Mars year. 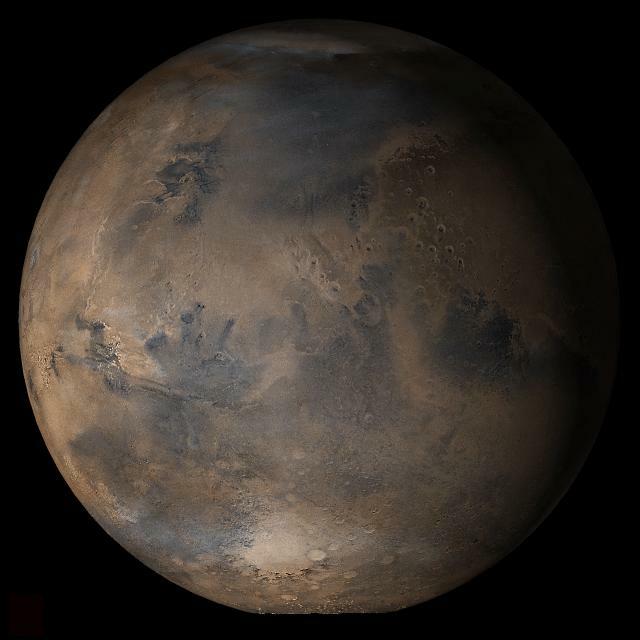 This month, Mars looks similar, as Ls 25° occurs in mid-March 2006. 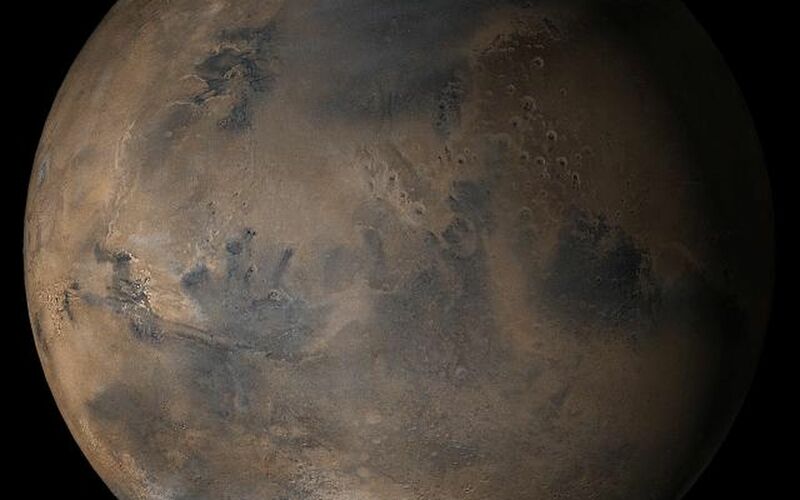 The picture shows the Acidalia/Mare Erythraeum face of Mars. Over the course of the month, additional faces of Mars as it appears at this time of year are being posted for MOC Picture of the Day. Ls, solar longitude, is a measure of the time of year on Mars. Mars travels 360° around the Sun in 1 Mars year. The year begins at Ls 0°, the start of northern spring and southern autumn.